There are two new short-term headers for structured snippet extensions in Adwords! These are specifically designed to help online stores promote Black Friday and Cyber Monday sales in their Adwords ads. 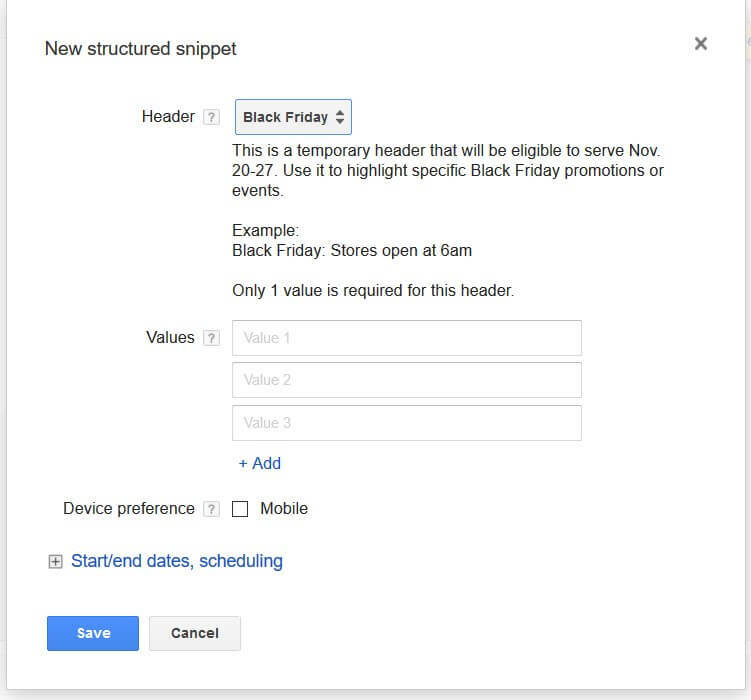 Structured snippet extension headers for Black Friday will be appear in ads from November 20th to the 27th and Cyber Monday headers will appear from November 20th to November 30th. Black Friday headers will show over Cyber Monday headers during the overlap period. If you use Adwords to promote your online store, be sure to take advantage of these limited time structured snippets!